We’ve updated the design of how we display accreditations for courses through our AICC interface. 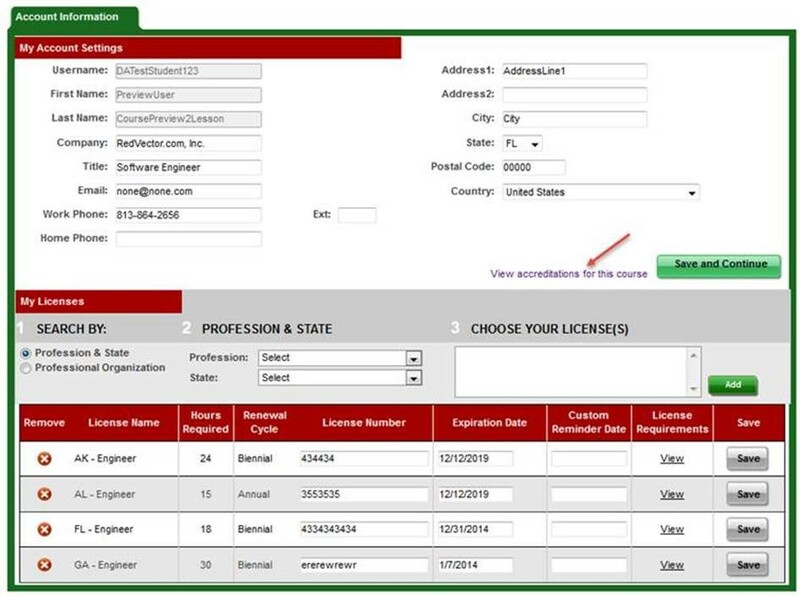 The new design is similar to how license and association approvals are presented for courses on the RedVector LMS where students can search for specific accreditations by clicking on a state or narrowing the list using a keyword. In addition, there is a new feature that expands the view to include licenses held by the user. This allows licensed users to more quickly and easily identify if a course meets their specific license needs. If you would like training on this new design, please contact your Account Manager.